Task: to make a big efficient website. 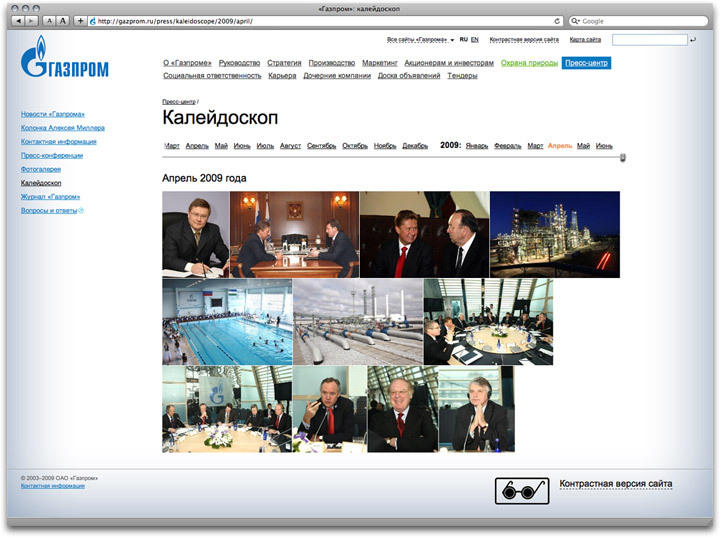 Gazprom is the largest oil and gas company in the world. 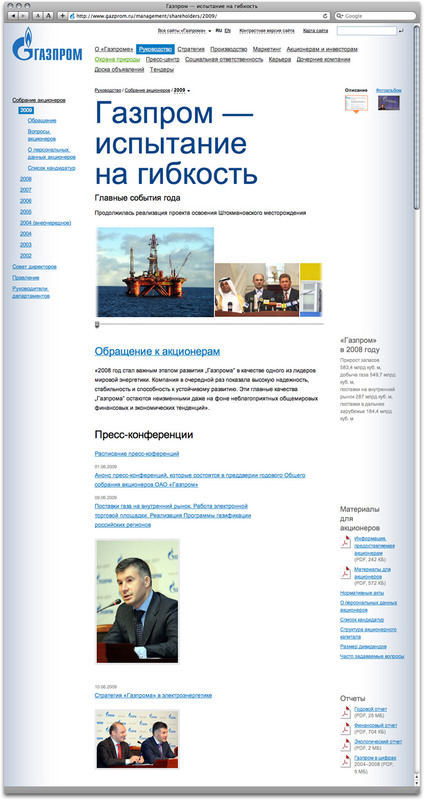 Their website offers a vast multitude of materials: projects, news, photographs, documents, press releases, videos, information for stockholders, reports, charts, maps, regulations, campaign details, stock rates, list of import products, Yamal mega-project info. All of this is well organized and easy to navigate. Gazprom’s scope of business can be evaluated using a variety of indicators. 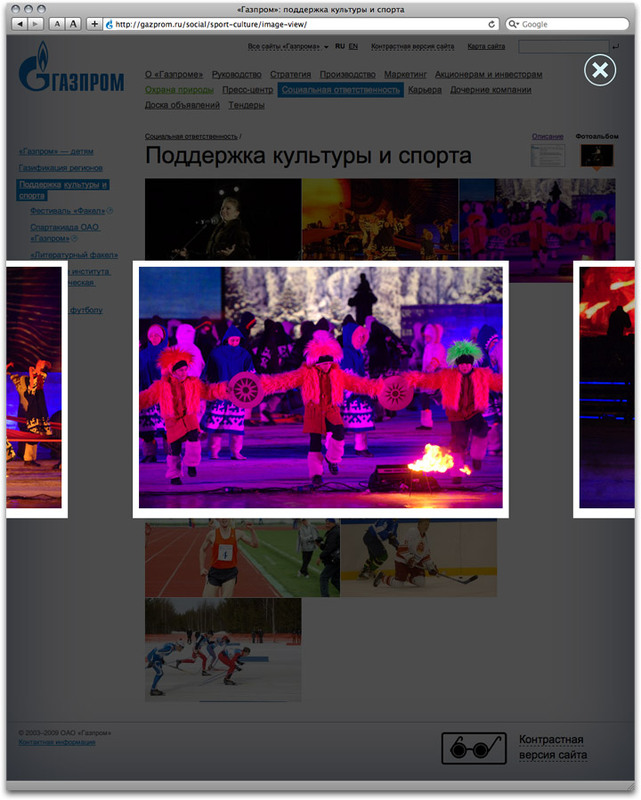 Photographs and videos are published in the section called Kaleidoscope. Some materials are accompanied with photo albums. Gazprom holds annual stockholder meetings, where the company reports its results. The website is ready to feature thousands of new materials.